Sephora has a new beauty deal! 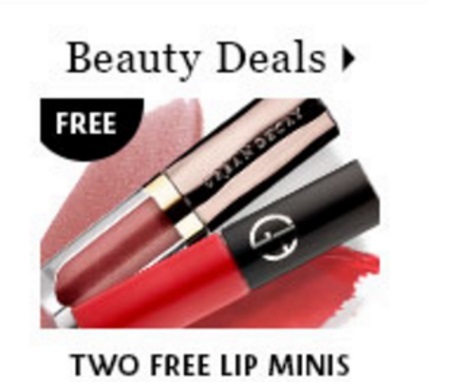 Get two Free Lip minis with any $25 order online! This is awesome as you get both lipstick products, not just one! I placed an order this morning when it first went live! This includes a deluxe sample of Urban Decay Vice Liquid Lipstick in Amulet and Giorgio Armani Beauty Ecstasy Lacquer in 402. Enter the promo code TWOLIPS at checkout. Offer is available online only, while quantities last for a limited time.